Step 1: If you are not already in the employer panel, simply click on the “EMPLOYER PANEL” in the menu. *Note – If you do not see “EMPLOYER PANEL” in the menu, you must first login or register. Step 2: Once in your Employer Panel, click on Post a Job. Step 3: Fill out as many fields as possible. The more information you can input, the more informed the candidates will be. All fields with a red * are mandatory. 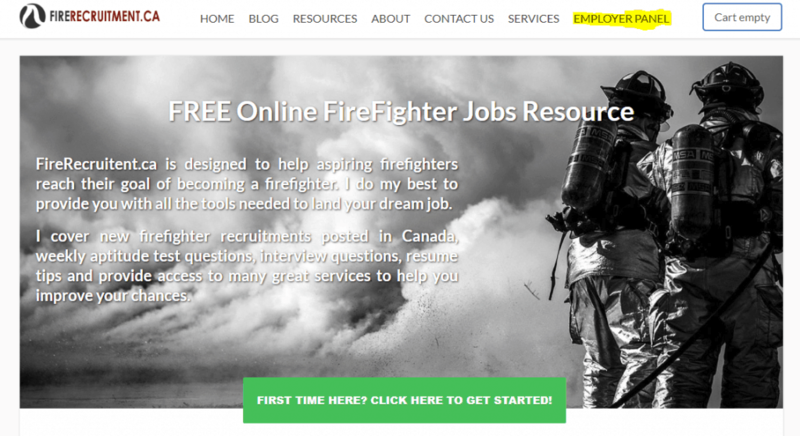 Apply Online Form – If you want to accept candidate applications directly on the firerecruitment.ca website. External URL – If you would like to redirect the candidates to your job posting. Step 6: Once complete, click the “Preview” button (once only) to see what your posting will look like. Feel free to edit it again by scrolling to the bottom or if you’re satisfied with your posting, click submit. *Note* – All postings have to be manually approved before appearing on the front page.